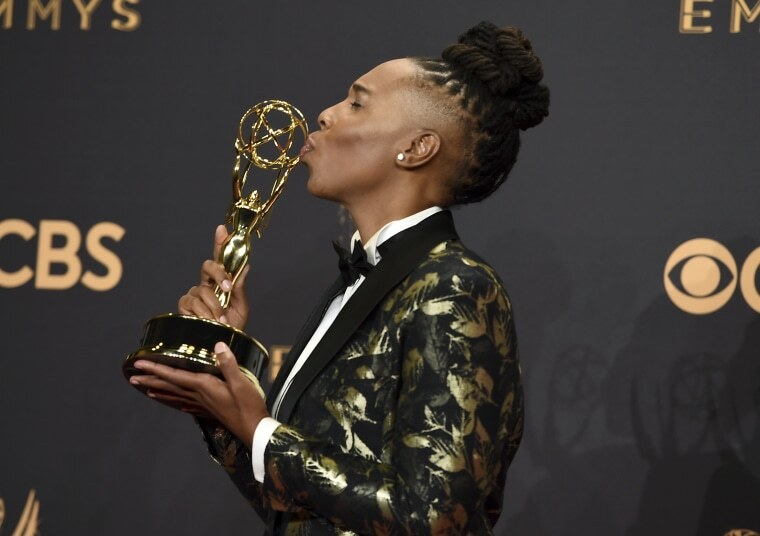 Producer, writer and actress Lena Waithe, who won an Emmy for Netflix's “Master of None," is using her craft to put LGBTQ and black characters front and center. “Being born gay, black and female is not a revolutionary act. Being proud to be a gay, black female is,” Lena Waithe said during the Essence Black Women in Hollywood Awards on March 3. As a storyteller, Waithe has used her pride and talent to tell unique narratives in film and on television. The accolades and acclaim she has amassed are evidence of her talent for representing the the underrepresented communities she comes from. In September, Waithe made history as the first black woman to win an Emmy for Outstanding Writer for a Comedy series for her work on Netflix's critically acclaimed show "Master of None." Waithe penned the Emmy Award-winning episode with series co-creator Aziz Ansari. The episode, titled “Thanksgiving,” centered on Waithe's character coming out as a lesbian and its impact on her relationship with her mother. During the episode, viewers were able to learn more about her complex character, and the episode spoke specifically to the reality of many black families with LGBTQ members. Drawing from her experience growing up in Chicago, Waithe rang in 2018 with the debut of Showtime's "The Chi." The series, created by Waithe, is a coming-of-age drama set in the city's South Side neighborhood. In November, Waithe was named Out magazine's Artist of the Year, and in April, she donned the cover of Vanity Fair. Waithe also made headlines in May for the powerful statement she made at the annual Met Gala by wearing a rainbow pride cape to the major fashion event.